Roo's Electrical is a family-owned electrical contracting company that has been in business since 1991. Roo’s Electrical original owner Howard Wittwer holds the nationally recognised solar design and installation Clean Energy Council accreditation, has over 40 years of experience in the electrical industry, and 20 of those years were served in the Air Force. In fact, Howard was nicknamed “Roo” while serving in the military – it seems he couldn’t march in time and had to do a little skip every third step to keep pace, so he was nick-named “Roo,” as in kangaroo! The name stuck and has served our business (and our owner) well. 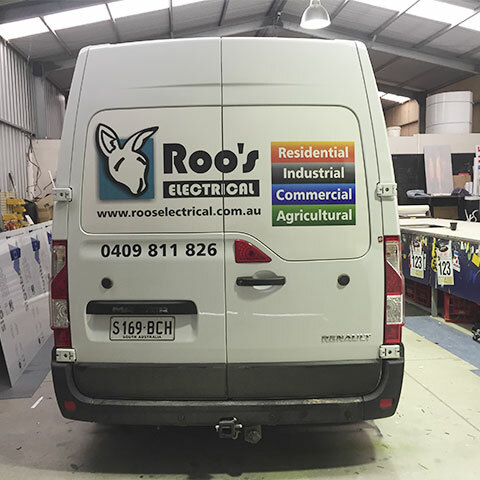 Roo’s Electrical is now in the very capable hands of Howard’s son, Peter, a qualified electrician who spent six years serving the Australian Air Force as an Avionics Technician. Peter also holds the nationally recognised solar design and installation Clean Energy Council accreditation and proudly works with his dedicated team of electricians to provide electrical and solar services to residential, agricultural, commercial and industrial customers in the Gawler and Barossa regions. Committed to environmental sustainability, Roo’s Electrical has a strong Green Ethos that is driven by the use of high quality products that last, renewable energy, energy efficient lighting techniques, and a Certificate of Recycling Excellence issued by CMA Ecocycle.